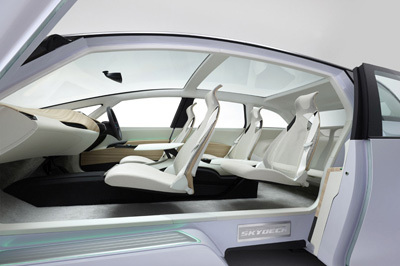 The 2009 Tokyo Motor Show hosted the official unveiling of the Honda Skydeck Concept, a spacious six-seater with a hybrid drivetrain. 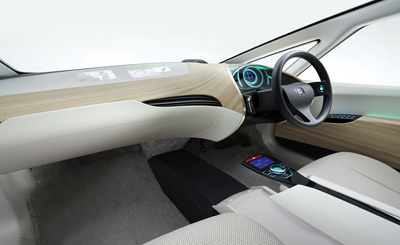 The Skydeck is currently just a design study which is being used to show off another potential production vehicle equipped with Honda's IMA technology. 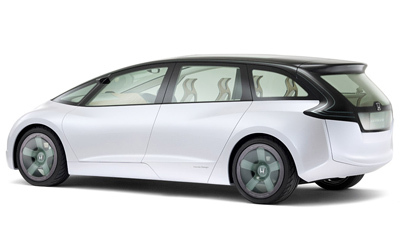 IMA stands for 'Integrated Motor Assist', and is basically Honda's name for their hybrid drive systems. 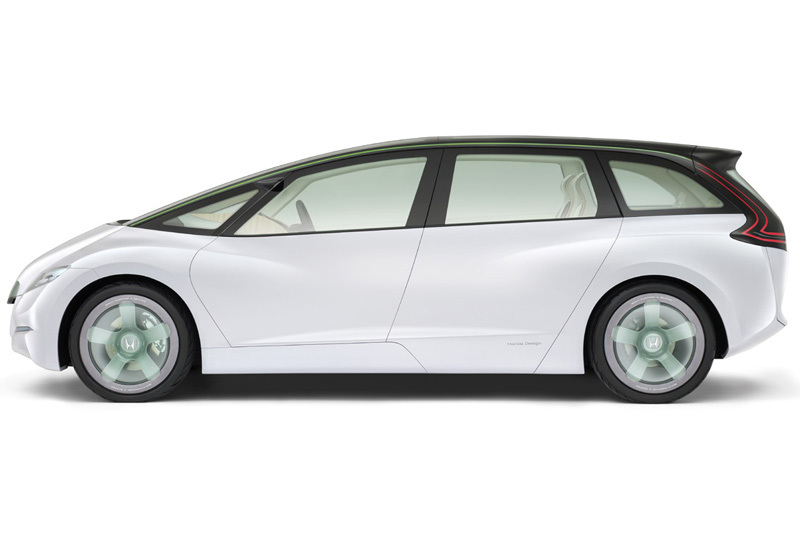 The drivetrain in the Skydeck is a parallel hybrid system in which the internal combustion engine is the main power source, and an electric motor provides additional assistance to improve performance and reduce fuel consumption. To increase the practicality of the Skydeck, Honda's engineers have placed many of the hybrid system components  including the high power battery  in the cars centre tunnel, instead of behind the rear seats or under the floor like previous production Honda hybrids. The styling of the Skydeck isn't going to win any beauty or ingenuity awards, and from the front the semitransparent grille surround gives the car an unusual 'beaked' appearance. 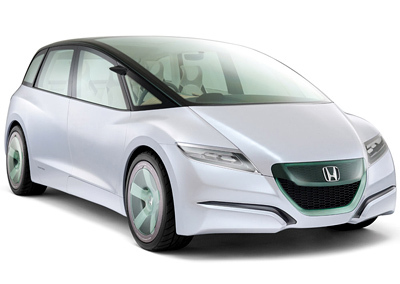 However the lines and proportions look very production feasible, and aside from the front scissor-doors the design could be carried through to production with minimal changes - if Honda choose to make it. 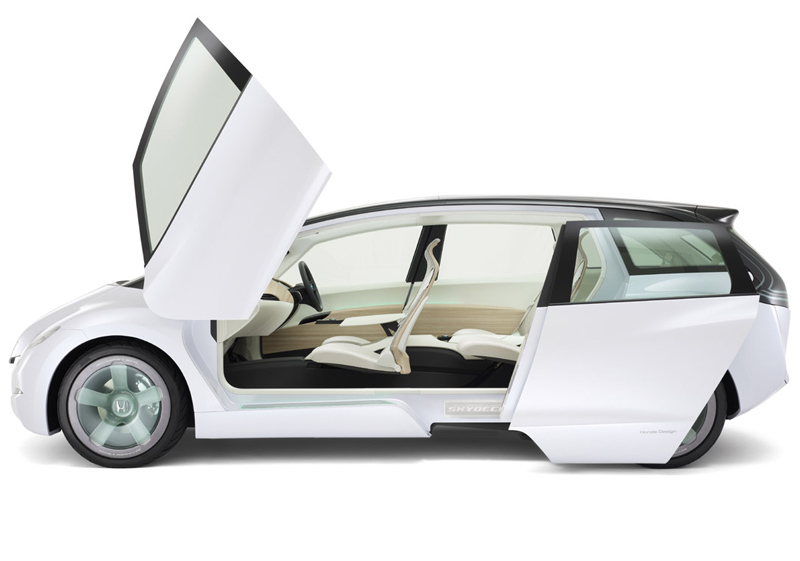 The spacious interior is extremely light and airy thanks to a combination of light colored fabrics and materials, and large windows all around - including the roof.